UPDATED: Wed., Aug. 8, 2018, 6:06 p.m.
Gonzaga’s West Coast Conference schedule begins with two home games and closes with the last of three Bay Area trips and a regular-season finale against rival Saint Mary’s. The WCC announced changes to its scheduling format last March when the Zags were contemplating a potential move to the Mountain West Conference. The 16-game schedule replaces the double round-robin 18-game set-up. The conference also voted to give the top two seeds byes into the WCC Tournament semifinals. 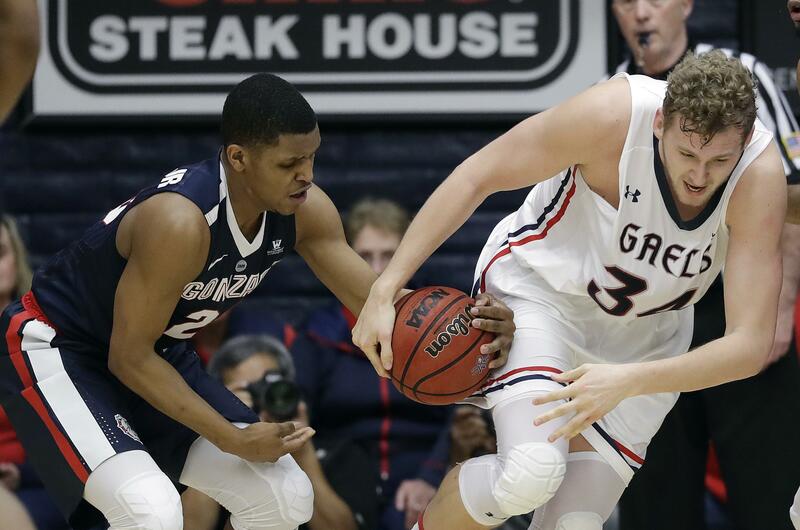 Gonzaga opens against Santa Clara on Jan. 5, the first of two one-game weeks. The second is the return game at Santa Clara on Jan. 24. That’s followed by two split weeks (home vs. Pacific, at San Francisco; home vs. Loyola Marymount, at Portland). The first of two dates with BYU is Jan. 31 in Provo with the return game Feb. 23 for Gonzaga’s Senior Night. The Cougars spoiled Gonzaga’s senior send-off with wins at the McCarthey Athletic Center in 2015 and 2017, the latter ending the Zags’ bid at a 30-0 regular season. Gonzaga’s 10th WCC game will be Feb. 9 in Spokane in the first of two showdowns versus Saint Mary’s. By then, the Zags will have completed the season series with Santa Clara and San Francisco and staged its lone meeting with Portland (Jan. 19 at Portland). The home game against the Gaels marks the last of a three-game home stand (San Diego on Feb. 2, San Francisco on Feb. 7). The Zags play four of their final six on the road, beginning with road trips to Loyola Marymount on Feb. 14 and San Diego on Feb. 16, and capped by visits to Pacific on Feb. 28 and Saint Mary’s on March 2. Gonzaga’s only meeting with Pepperdine takes place Feb. 21 at the McCarthey Athletic Center. Gonzaga, projected in the top five in preseason polls, will be heavy favorites to extend its streak of WCC shared/outright titles to seven. The Zags have been solo or co-champions 17 of the last 18 seasons. The Zags return All-WCC selections Josh Perkins, Rui Hachimura and Killian Tillie, and conference newcomer of the year Zach Norvell Jr. The roster includes sophomore wing Corey Kispert, transfers Brandon Clarke (San Jose State) and Geno Crandall (North Dakota) and incoming freshmen Filip Petrusev and Greg Foster Jr. The WCC Tournament returns to Orleans Arena in Las Vegas from March 7-12. The semifinals are scheduled for March 11 with the championship game the following night. The double-bye format that was in place from 2003-13 ended when the WCC added Pacific in 2014. Published: Aug. 8, 2018, 12:44 p.m. Updated: Aug. 8, 2018, 6:06 p.m.